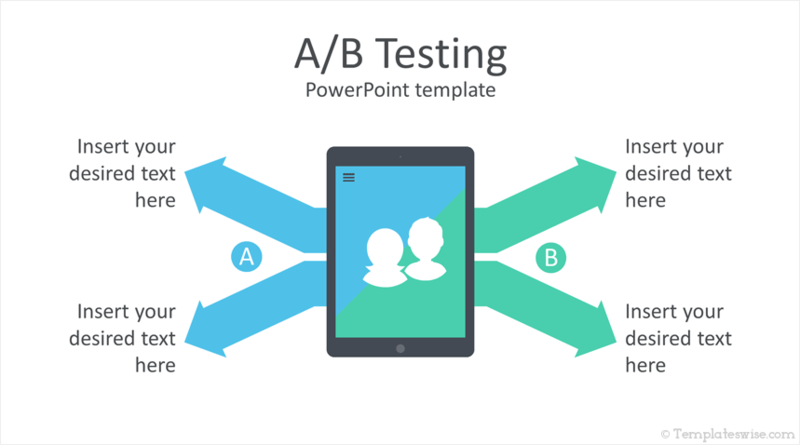 Impress your audience with this A/B testing PowerPoint template in flat design style. 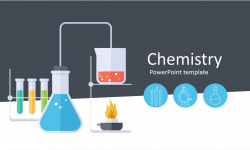 The first slide features an infographic with a tablet with people icon along with four arrows and text placeholders. 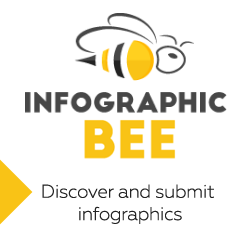 The second slide includes two smartphone illustrations with your custom message. And the last slide feature two tablets with text placeholders. 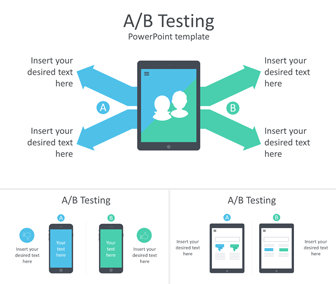 Use this template for presentations on A/B testing, conversion rate optimization, etc. 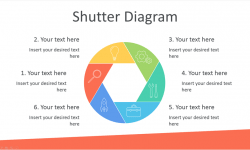 These slides are fully editable in the slide master view in PowerPoint and can be used in any existing presentations.